Because moving a piano is such a complex and involved process, you will need to think seriously about every facet of this endeavor well before you begin to transport this equally complicated instrument. The best advice is to always hire professional piano movers in Los Angeles, such as Attention 2 Detail, who are particularly skilled in piano moving services. Pack and insulate your piano well. That means providing shock absorption on the inside to protect keys, and moving parts, and wrapping non-slip, heavy-duty blankets around the exterior of the piano, securing them with strong cords. Make sure the lid is locked before moving so that the delicate ivory keys are not damaged. Move all furniture out of any potential path of your piano. Remove the legs of your Grand piano before moving, as they are extremely delicate and could break. Buy or rent heavy-duty straps to secure your piano on a moving vessel prior to beginning. Do not ever tip the piano during a move. Its delicate mechanisms can be damaged by too aggressive a redistribution of weight. Do not leave any space between the piano and other furniture in the moving vehicle. Make sure it is packed in the back of the truck with ample insulation around it, giving it no opportunity to move during transport. So depend on the piano moving services of professionals. 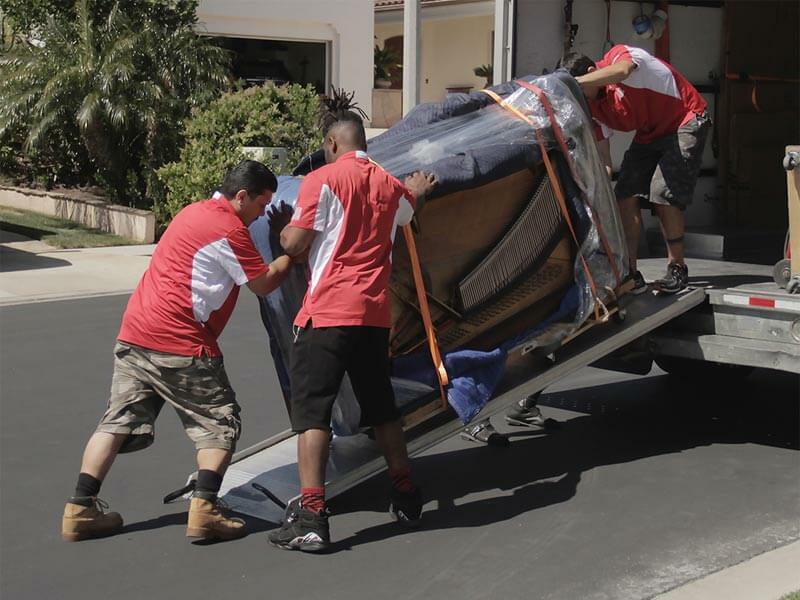 Calling Attention 2 Detail, who are also among the most experienced piano movers in Orange County, will be your first best step to get your piano on the road, and into its new home, safely and securely.